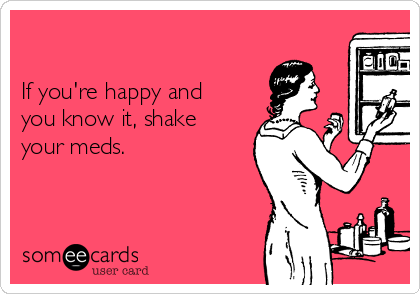 Some of you have been following my posts about my Gabapentin trial. I was given enough tablets to cover 6 weeks building up from 1 300mg tablet a day to 6 a day (2 tablets 3 times a day). I’ve now finished my trial and had to book a Dr’s appointment to discuss how it had gone and wether or not I should continue. So I thought about the benefits I’ve had since starting them and thought I’d share them with you. It takes the edge off the pain, it hasn’t stopped it but it gives me enough relief that I can ignore the pain better and do a little more. Sleep! I do have the odd rough night still and wake a few times but it’s not as often as before so I’m less tired during the day too. I can get out of bed in under 5 minutes now instead of 20 minutes with a LOT of moaning and I get to drink my morning tea whilst it’s hot haha! A short walk to down doesn’t leave me crying. (Although I tend to over do it at times which I am still trying to work on..) So I’ve been getting out more. I’m less snappy! Pain makes me quite angry and emotional/upset and it makes everything seem 100x worse & I stress constantly! You could literally ask me where something is and I’ll have a full blown meltdown but it’s happening a lot less now! My appetite has come back. I know the tablets are known to cause weight gain but so far so good and I’m eating two meals a day and actually enjoying it plus a few snacks in the evening! I don’t feel like screaming constantly. The pain still gets to me but not to the point I want to scream and cry like a toddler. So far I’ve not had many side effects apart from falling asleep early on the sofa when I’ve had a busy day which I’m willing to deal with if it means I can do things in the first place. I’ve been able to a few things I’ve not been able to like joining the Mr or going into town which is only a 10 minute walk away. I still struggle to carry things so I am going to get a shopping trolley so I don’t always have to take Izzy with me to get more than a few light bits. After spending so long determined not to be on medication daily having to stick to timings etc and working out I’d be on over 400 tablets every 28 days was a bit of a struggle to accept but being able to do a little more has made me realise following a schedule isn’t so bad! My anxiety about going out has eased a little now I know I can go into town and make it home without getting so stressed and upset from the pain. So far I am happy with the results and decided to continue taking Gabapentin especially after spending a day and half off of them and hurting so much all over. I’m definitely benefiting from them which is something nothing else I have tried has managed to do. Have you continued Gabapentin after a trial? Did it help? I've been on Gabapentin for over a year now, I didn't think it was helping much but if I ever forget a dose I know about it so I guess it does!